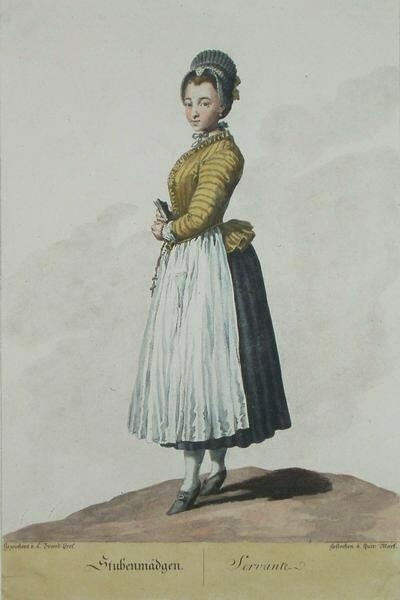 I found this fashion plate on Pinerest in early January an knew immediately I wanted to make something similar for an 18th century Tavern event I planed to attending in early February (unfortunately life happened and I ended up not going, but at least now I have a costume if the opportunity arises again). 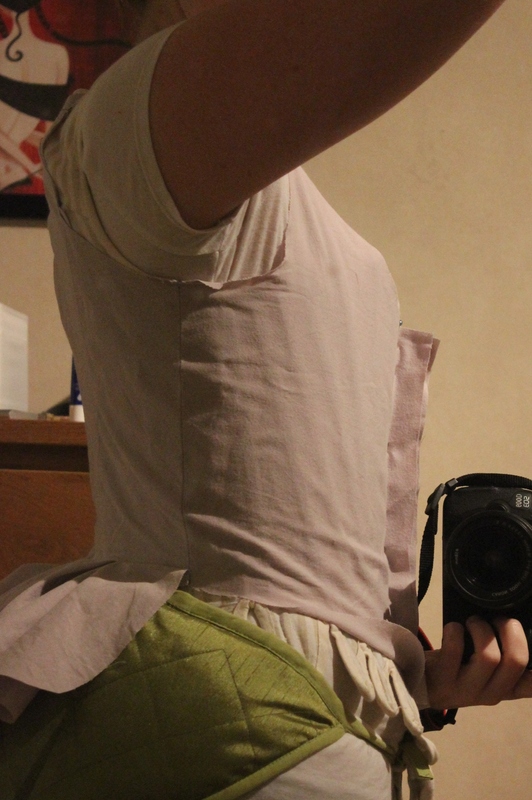 I made the skirt and shortened my apron to match. 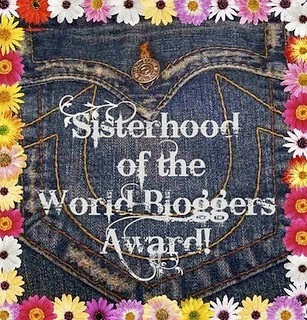 Then it was on to the jacket. In the book “Skräddaren sömmerskan och modet” by Rasmussen, I found the description and pattern for this jacket called a “Kofta” which translates to “a kind of soft jacket”. 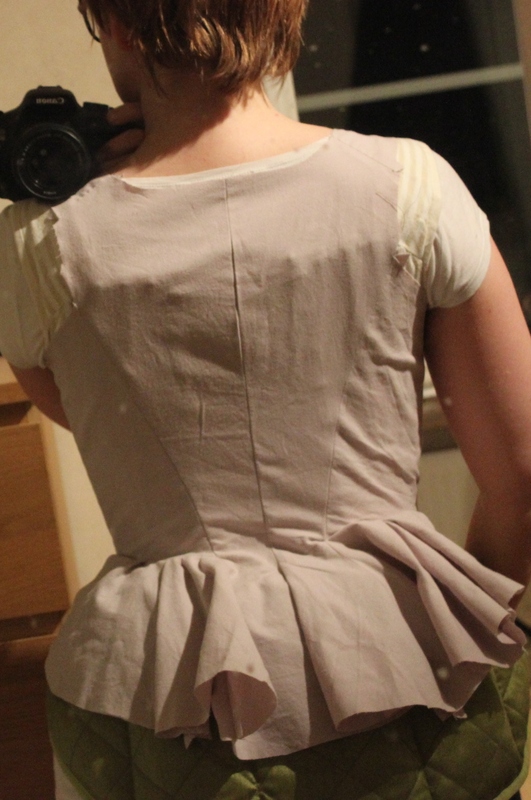 With it’s short front, tails/peplum at the back and long sleeves, it was perfect! 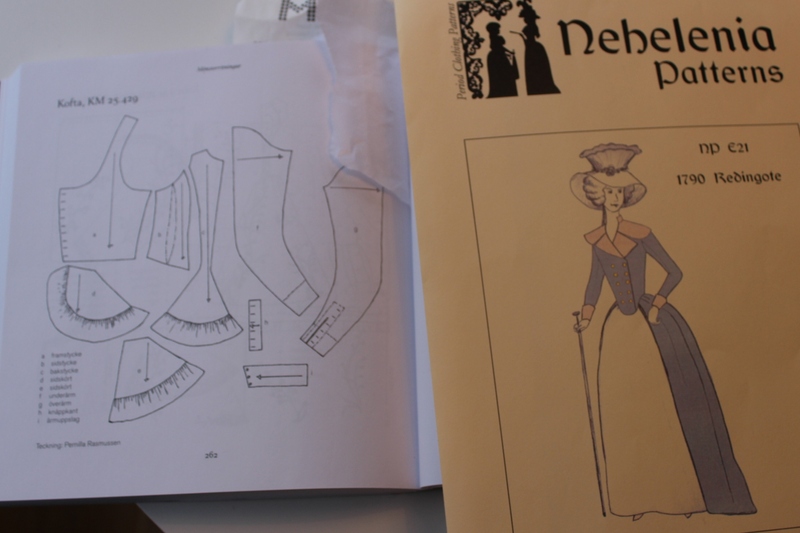 For pattern I used the “Kofta”-pattern combined with my new favorite 18th century pattern, the “1790s Redingote” from Nehelenia Patterns. I made a franken-pattern, using parts of this and parts of that to get the shape as I wanted. 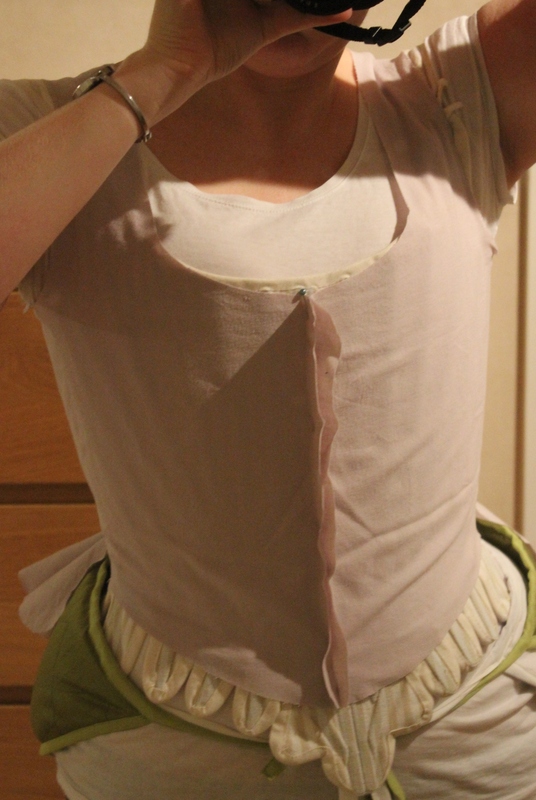 The fit was surprisingly good, and all I needed to do was to lower the neckline a bit (I made the decision to make a wide neckline instead of the high one from the fashion plate), and trim the peplum a bit. 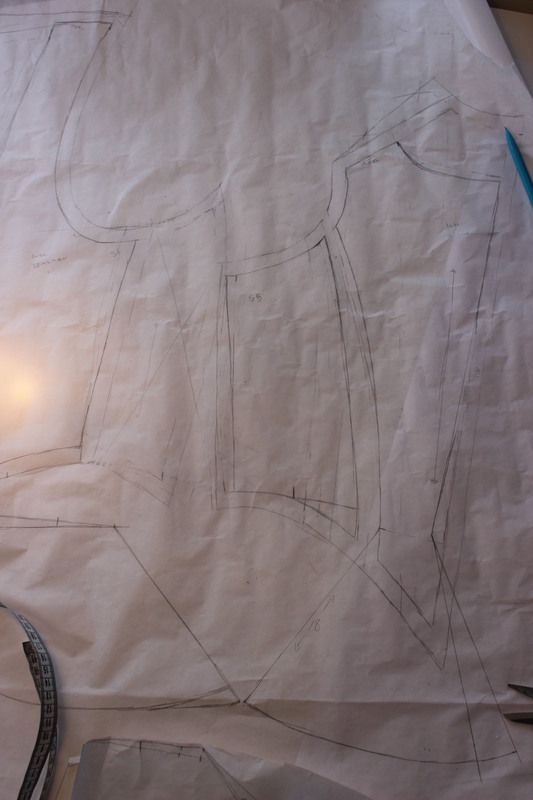 Then it was on to the fabric. Keeping in with my New years resolution, I decided to go through the stash before heading to the store. 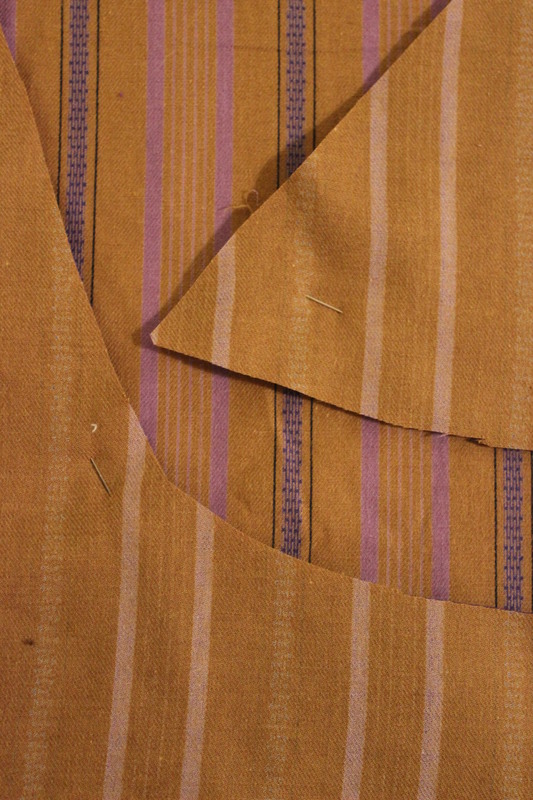 That turned out to be a really good thing, since I found exactly what I needed – A soft yellow cotton with purple stripes in a odd (left over) length, that would be on exactly enough for his project. 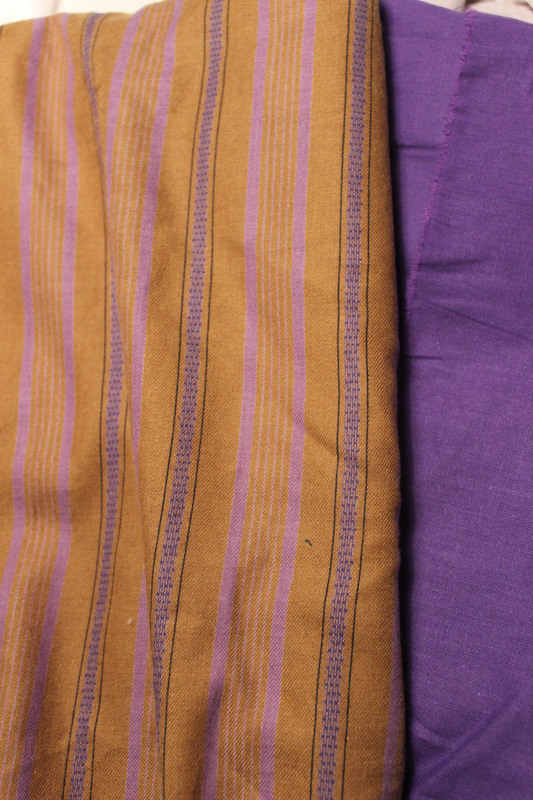 And a purple cotton lawn I previously used for mock-ups, which would be great for lining and interlining. Then I realized that this project would fit perfectly into the HSM/15 nr 3 – Stashbusting, and did a little happy dance (to my hubby’s surprise). I cut the pieces one layer at the time, to make sure to line all the stripes perfectly. Laying the first layer up side down on the second layer makes it possible to perfectly match everything. I basted the whole garment together for a first try on. 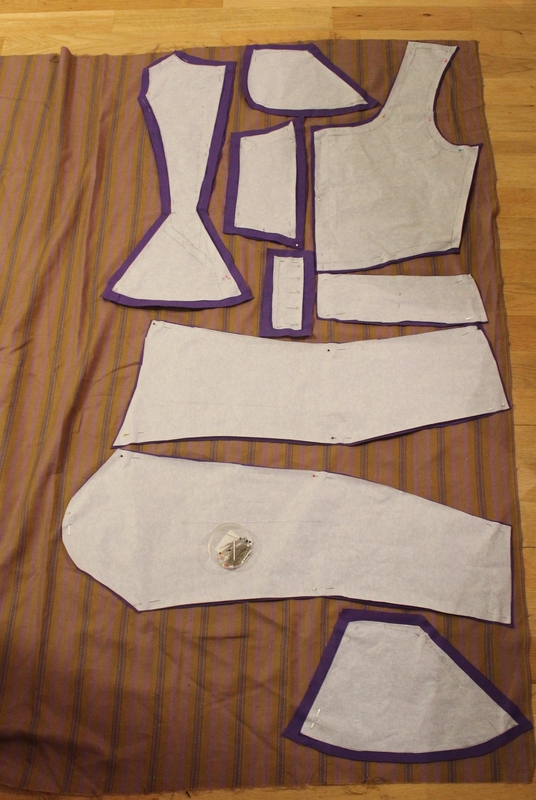 Some minor alterations like shortening the sleeves and lower the neckline a bit more was all that needed to be made. 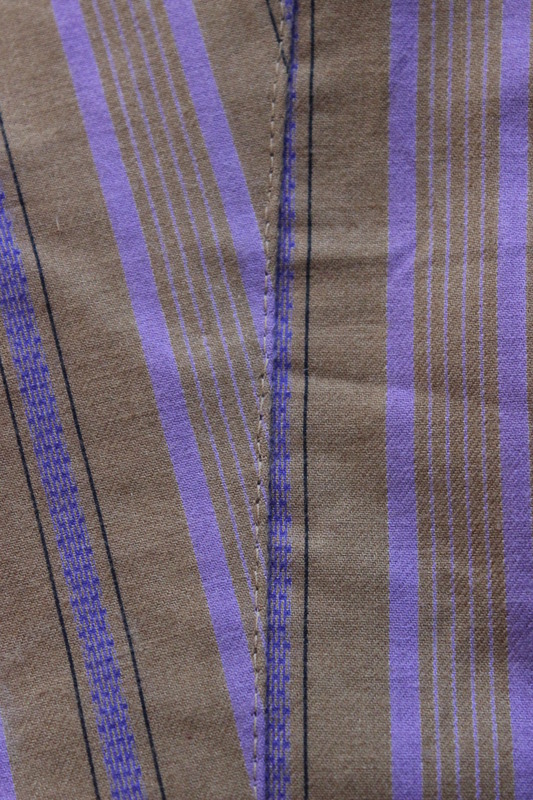 I stitched the pieces together using period techniques (stitching from the outside), making sure to line the stripes properly. 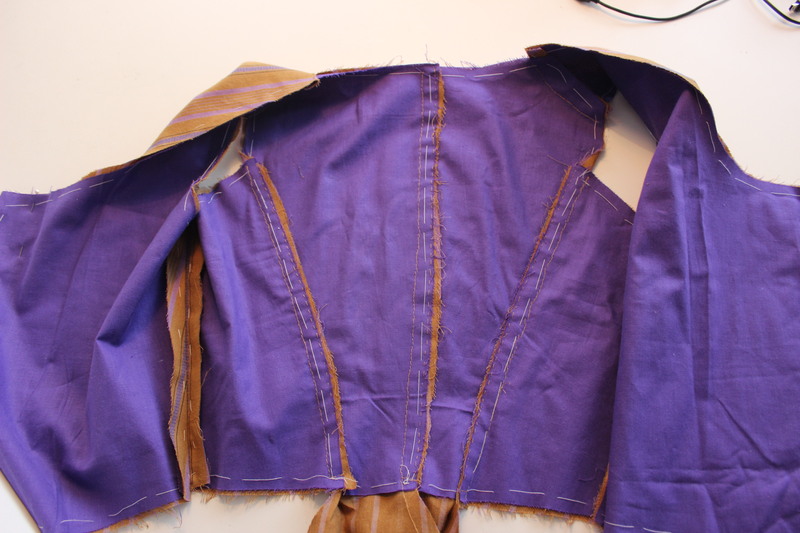 From the inside you can see the purple interning and boning channels sewn into the seam allowance. 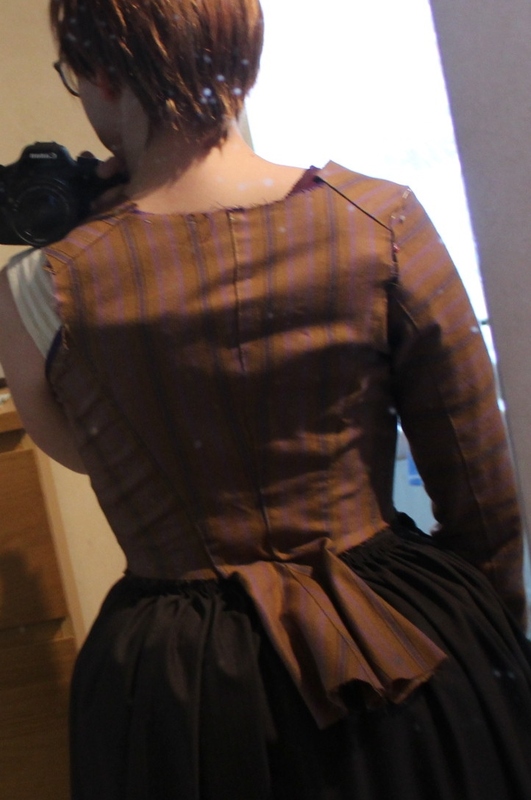 I love the look of the bodice like this – perhaps I need to make a waistcoat from this pattern. 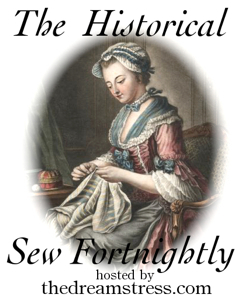 What do you mean stitching from the outside when you discuss historical sewing techniques? Thank you so much for your reply 🙂 I hadn’t seen this technique before is this mostly consistent with 18th century construction? 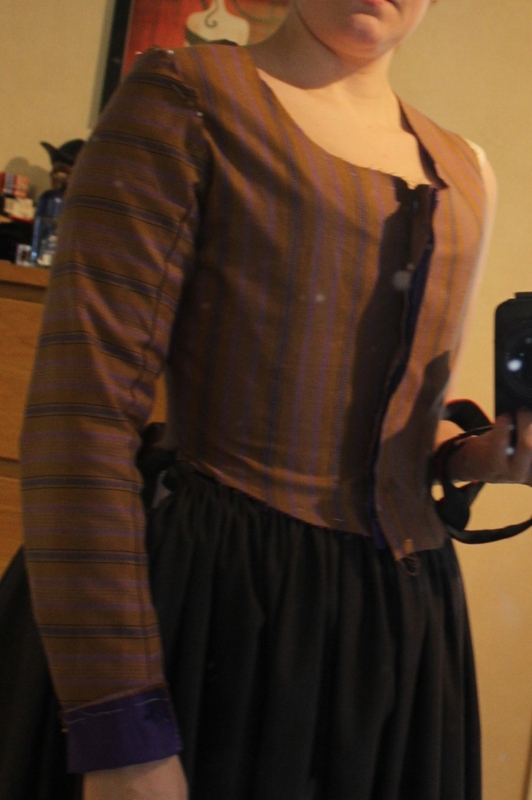 I have so far been concentrating my efforts on 19th century costume. 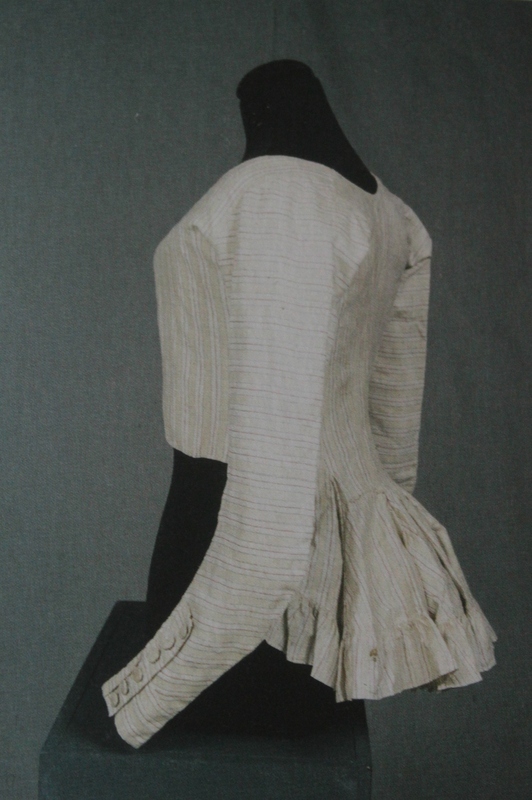 I’m not sure, but I would guess this technique appeared since the dressmakers often stitched the garment directly on the costumer (sorry no sources right now), thous needed to make the seams from the outside. And once the sewing machine appeared in the 19th century the construction changed into something a bit more like our modern way.